Basically this fly is Montana Fly Company's version of the famous Game Changer. The MFC Little Swimmer is smaller though and a bit easier to cast. The Little Swimmer is a great selling streamer for us and it is featured here in the Brown Trout coloration. Basically this fly is Montana Fly Company's version of the famous Game Changer. The MFC Little Swimmer is smaller though and a bit easier to cast. We have been working this one on a 6wt with no problems. This is the brown trout version and it is tied with a softer, chenille like material. It has 5 sections and also a rubberized tail section. The action on these is really pretty awesome. 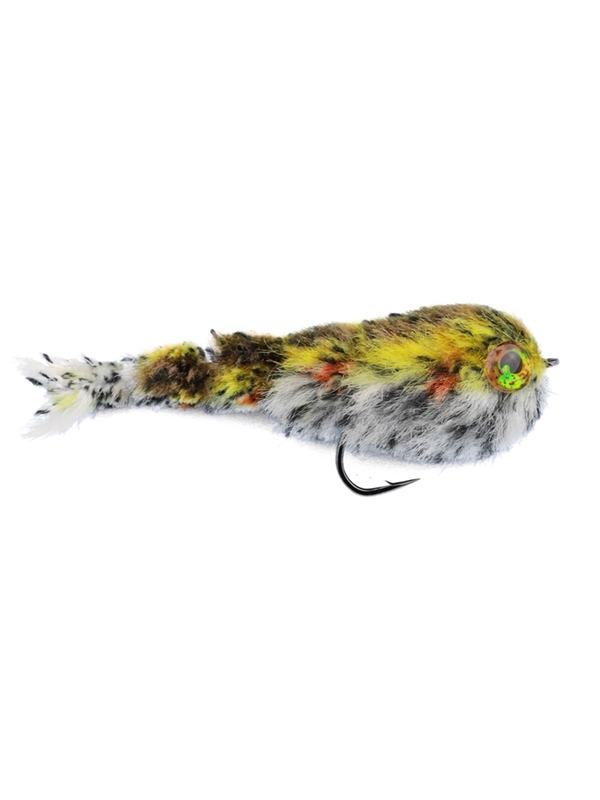 This fly works great for us here on our brown trout laden home waters of the Mad. Montana Fly Company Little Swimmer - Brown Trout is tied on the Gamakatsu B10S hook in a size 1. This fly measures approximately 3 1/2" long.